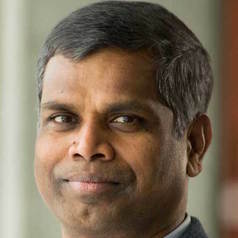 Manimaran Govindarasu is currently the Mehl Professor of Computer Engineering in the Department of Electrical and Computer Engineering at Iowa State University. He received his Ph.D degree in Computer Science and Engineering from the Indian Institute of Technology (IIT), Chennai, India, and has been on the faculty of Iowa State University since 1999. His research experiences are in the areas of cyber-physical system (CPS) security for the smart grid, cyber security, real-time systems and networks, and Internet of Things (IoT). He has co-authored over 150 peer-reviewed research publications, and has given several invited talks and tutorials at reputed IEEE conferences, and delivered more than dozen industry training sessions on the subject of power grid cyber security (e.g., NERC GridSecCon 2015, 2016). He is a co-author of the text “Resource Management in Real-time Systems and Networks,” MIT Press, 2001. He served as a guest co-editor for flagship IEEE publications (IEEE Network, IEEE Power & Energy, IEEE Trans. on Secure and Dependable Computing), and serving as an Editor for IEEE Transactions on Smart Grid since 2013. His research is funded by NSF, DHS, and DOE, and by industry-university collaborative research centers (PSERC and EPRC). He is the founding chair of the Cyber Security Task Force within IEEE Power & Energy Society AMPS Committee. He is a Fellow of the IEEE.